Ciudad Juarez . Mexico. 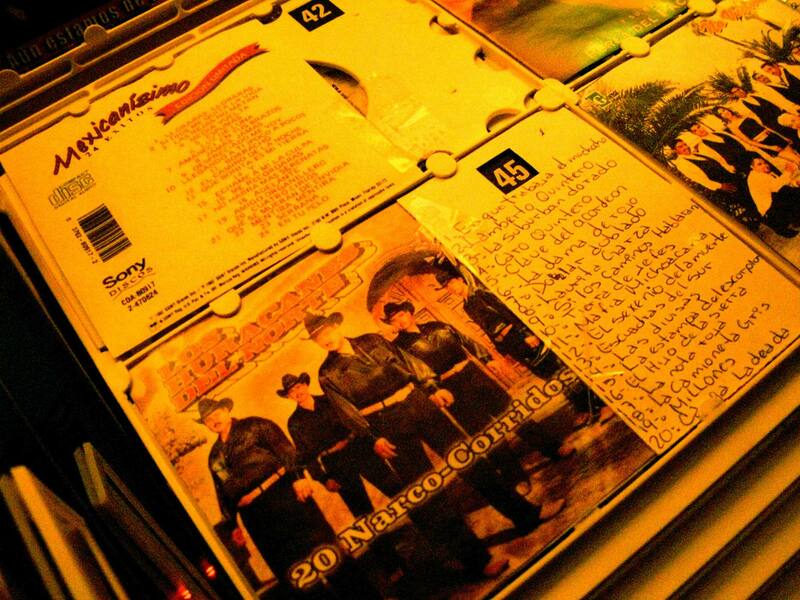 May 2008 A jukebox featuring a Narcocorrido ballad band in a bar in Juarez's notorious downtown area in May 2008. Narcocorrida's celebrate the bravery and heroism of drug cartel bosses fighting against the corrupt police.